Elegant and sophisticated, the Hugo Coffee Table has a sleek design that works beautifully with the Rugiano sofa collection. Hand-crafted in the heart of Milan, the platform style frame is upholstered with panels of the finest Pelle leather. Choose either a smooth finish or textured design to complement your sofa and chair upholstery. 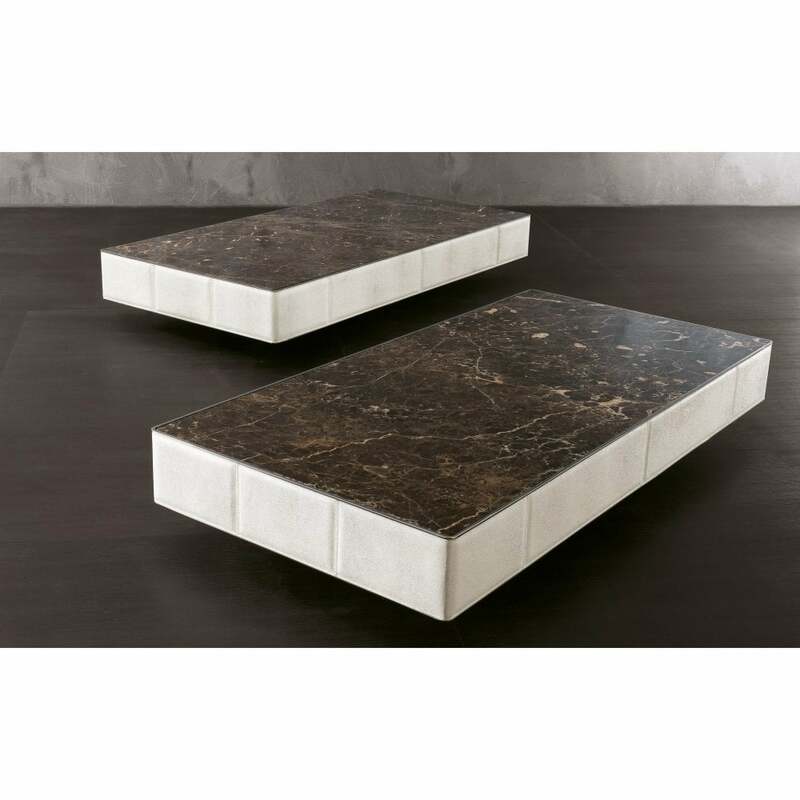 The square or rectangular table top can be crafted from dark emperador marble, calacatta oro, valentine grey or glass. Available in a range of finishes, we love the cream leather paired with the white marble top. The Hugh Coffee Table can be realised in four bespoke sizes. Get in touch with our team for samples.